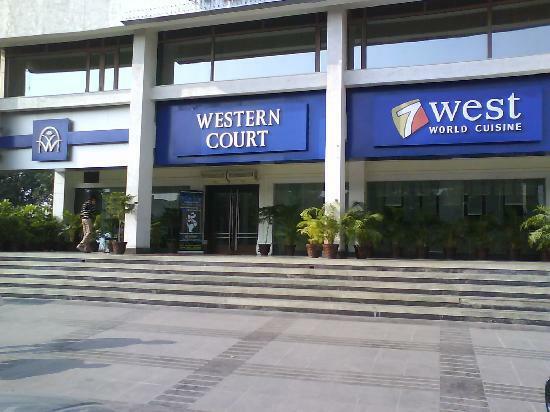 Western Court a European style Boutique Hotel is located in Sector 43-B, Chandigarh, 7kms from Railway Station, 3kms from ISBT Sector 17 & 1.1/2kms from ISBT Sector 43-B. Western Court a European style Boutique Hotel is located in Sector 43-B, Chandigarh, 7kms from Railway Station, 3kms from ISBT Sector 17 & 1.1/2kms from ISBT Sector 43-B. This eco-friendly hotel is the flagship star property of the fast upcoming chain of hotels at Chandigarh, Panchkula & Gurgaon. Western truly personifies the word-LUXURY in its true sense offering unparallel comfort & unmatched hospitality with most personalised services.